Keep calm? KEEP CALM? How can I keep calm? For YEARS the US government has been corrupted by the same greedy people and politicians. I can't take it any more. We need change and I feel it's in Democrat Bernie Sanders. Once he's in the White House THEN I'll Keep Calm and Carry On. 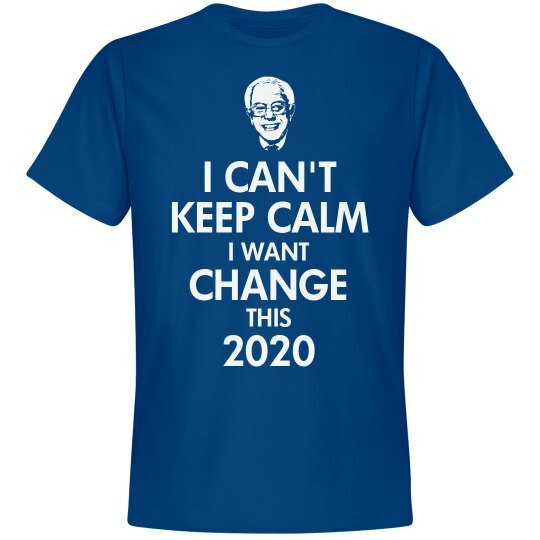 Vote Bernie Sanders 2020!